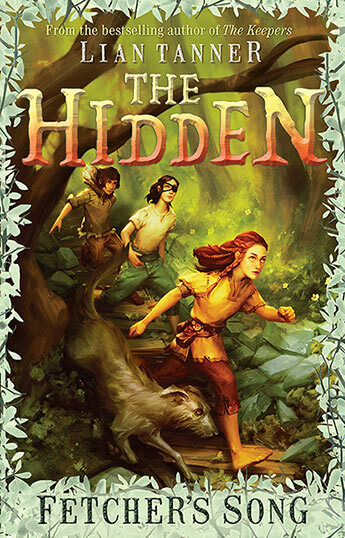 The thrilling conclusion to The Hidden series: a vividly exciting fantasy-adventure by a master storyteller. The verses dried up in Gwin's mouth. Papa put down his fiddle. Nat looked defiant, though he was trembling, too. One by one, three wild mountain men stepped off the rope ladder and into the cave. Gwin is a Fetcher. With her papa and twin brother, Nat, she travels West Norn, bringing joy to its downtrodden people through song and story. But ever since Mama died, it's been hard to keep the joy alive. Proud and defiant, Fetchers have always been hunted by the Devouts for preserving the old ways. So when devious Brother Poosk captures Papa, Gwin must rescue him - whatever the cost. Meanwhile, the Oyster's crew and the Sunkers lay siege to the Citadel. But without their Sleeping Captain, can they ever win against the ruthless Devouts? Can Petrel, Fin, Sharkey and Rain ever bring light back to such a dark world? The thrilling conclusion to The Hidden Series. Lian Tanner has been dynamited while scuba diving and arrested while busking. She once spent a week in the jungles of Papua New Guinea, hunting for a Japanese soldier left over from the Second World War. She likes secrets, old bones, and animals that are not what they seem. Nowadays she lives by the beach in southern Tasmania with a large fluffy tomcat called Harry-le-beau.